At the ongoing Auto Expo, TVS has showcased its latest offering – the NTorq 125 bike, which it claims is the first ‘connected scooter’ to hit the Indian market. The new two-wheeler looks like any conventional scooter currently available in the market, but blends smart connectivity features such as navigation and caller ID information, parking location history, and vital vehicle stats on its dashboard. The NTorq scooter features TVS’ own SmartXonnect technology which allows riders to pair their smartphone with the scooter via a companion app. Once paired, the vehicle’s LCD unit acts like a dashboard to give you relevant information. For example, you can see the regular bike stats such as fuel status, speed, RPM etc., but what’s great are the added features that truly set this bike apart. 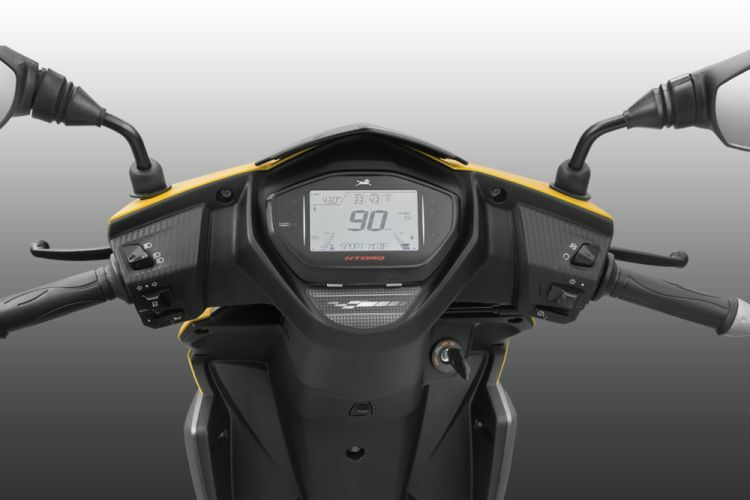 The LCD can act as a navigation display, providing turn-by-turn direction information to the rider – presumably based on Google Maps. Another nifty feature is the caller ID functionality, and the related smart reply functionality that does exactly what its name suggests i.e. sending an automatic reply to the person calling the rider, informing them that the latter is driving. You can also choose to save their last traveled route, create reports of their trip and do a lot more. And just in case you have been wondering, you can have multiple rider profiles so that the bike adjusts to you or your family members and provides with the right info. NTorq’s digital display will also provide information related to the scooter’s performance stats like engine oil temperature, top and average speed recorded, over-speeding alert and a lot more. TVS says the 125cc bike has been in development for around 4 years, and with a launch price tag of Rs. 58,750, it is definitely much pricier than some regular bikes. 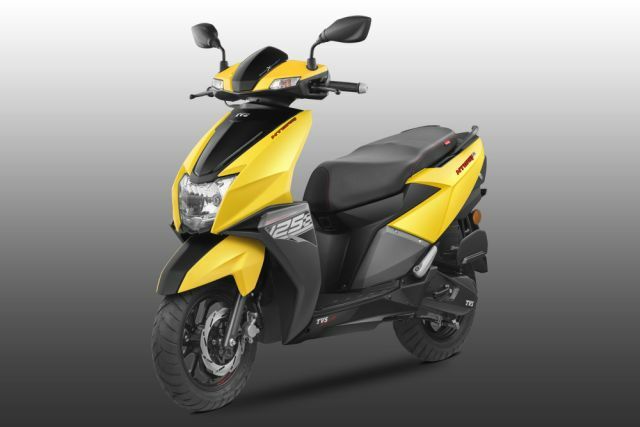 Though availability details are yet to be announced, the scooter is expected to go on sale in the next couple of months.